The 500th anniversary of the Reformation provides a timely opportunity for reflection on the nature of belief and spirituality in today’s modern global world. Martin Luther had a particular approach to reform, one based in repentance, evident through a lack of visual art and sacramental creativity. The Reformation of the 16th century was not unprecedented; there were other reformers within the medieval church such as St. Francis of Assisi long before 1517. This paper takes an archetypal approach to Martin Luther and St Francis’ approaches to reform, and provides an introductory review of the newly developed science of awe. In doing so it contrasts Martin Luther with St Francis’ whose spirituality and activism focused on wonder and creativity. Indeed Francis’ approach to a spirituality of interdependence offers a chance to reflect on the significance of awe and wonder from the Reformation until now. Research underway in leading universities such as Stanford, suggests there are many opportunities for awe surrounding us, and that its benefits are profound. Momentary experiences of awe have been found to stimulate wonder and curiosity. This finding would not have been at all surprising to mystics such as St Francis, but they do have some key implications for approaches to spirituality in today’s global and fractious world. By means of an archetypal lens, this paper will review the approaches taken to spiritual reform by Martin Luther and St Francis of Assisi, contending that one approach was based in fear, while the other was based in sacred wonder. 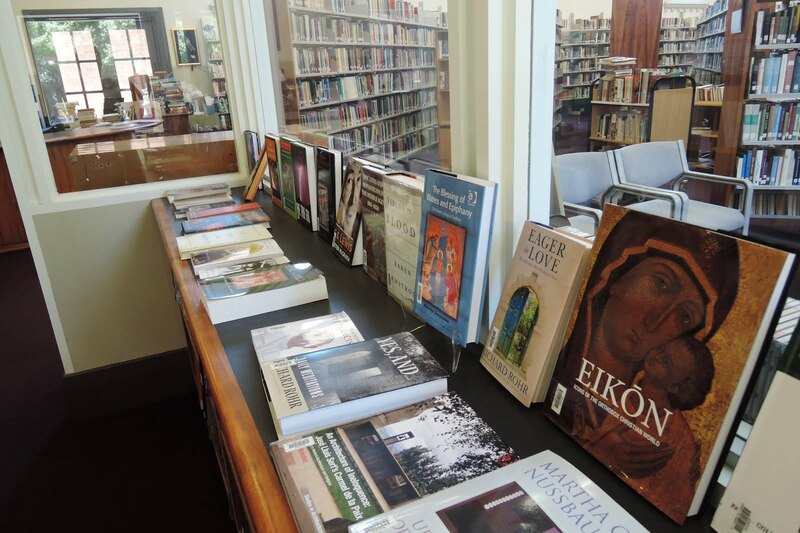 In doing so, it touches on the new and old treasures' of awe, wonder and creativity for today's spirituality. Presenting St Francis and Martin Luther in broad, "archetypal" terms allows us to compare and contrast their visions. The technique of comparing and contrasting provides an effective method for discovering alternate possibilities, because it allows for new perspectives in a number of ways, including through inversion, i.e. sorrow teaches us the value of joy, despair the value of hope. Therefore, in order to draw out some of the main differences between the archetypes of Francis and Luther, it will be suggested that Luther’s spirituality was based in fear, while St Francis’ was one based in trust. The attitudes of sixteenth century reformers were austere and grim. Indeed, William Dryness, Professor of Theology and Culture, Fuller Theological Seminary specifically states that this Reformation anniversary invites us to reflect on why the creativity of visual art is often missing from the worship spaces of Protestant churches. …either redefined the role of the arts in limitedly terms or condemned them outright as idolatrous. Even as Catholics enriched their churches with ever-grander altarpieces, Protestants stripped away virtually all decoration. Rudolf Otto in the Idea of the Holy (1917:108) makes a similar point, stating that in its austerity, the Lutheran school did not do justice to the numinous side of the Christian idea of God. By the exclusively moral interpretation it gave to the terms, it distorted the meaning of ‘holiness’ and the ‘wrath of God’, and from the time of Johann Gerhardt and onwards Lutheranism was returning to the doctrine of divine apatheia or passionlessness. More and more it deprived the forms of worship of the genuinely contemplative and specifically ‘devotional’ elements in them. In applying an archetypal lens, it is important to recall that Luther was not the first to attempt reform in response to the overreach of power by the institutional church. Religious writers such as Diarmaid MacCulloch (2005) say the medieval church experienced continual challenges between diocesan and religious clergy, even as religious orders continually challenged one another to reform. Some reformers ran afoul of Rome like those of Peter Waldo, John Wycliffe, and Jan Hus, and were suppressed with "crusades." Others, like those of Saint Francis of Assisi, Saint Dominic and Saint Teresa of Avila were encouraged by Rome to pursue their ‘called to’ approaches to their lived spirituality, which was often in defiance of entrenched bishops and their clergy. Since ancient times, human creativity has articulated the human interpretation of our spiritual experiences; and new insights about creativity, wonder and awe, including those coming from neuroscience and psychology, offer fresh reflections during this anniversary year. Today's research defines awe as the feeling of being in the presence of something vast that transcends one's understanding of the world. Although we may feel overwhelmed and insignificant in such a moment we also feel connected and closer to others. That is awe’s ‘purpose’, or at least one of its purposes. A key aspect of wonder is that it can elicit in us an emotional response, which often contains an element of fear linked to a sense of not being in control, and feeling vulnerable and or exposed. The capacity to experience wonder may be a "developmental achievement," in that it requires a sufficient degree of safety and security in the face of the natural fear of being de-centered or put off-balance. The science of awe suggests that, to experience wonder and creativity we need to face our fears from a place of centered presence. The physiology of stress means that when we are anxious or fearful, the body goes into flight/fight/freeze mode. In that state we lose our relaxed alertness, which in turn negatively affects our work and life performance as we react automatically, and try to control what is happening around us. Conversely, when we are relaxed our attention becomes focused, the mind creative, and the body comfortable. Our muscles relax, we can hear a wider range of sounds, see a wider range of things in front of us. This is the neural correlate of an open, receptive state ready to connect and learn. These states of fear and openness are demonstrated in the contrast between the fear-based control of Luther, expressed by his hyper-vigilant need to repent, and the open, creative trust of Francis. Luther lived in his mind and was inwardly focused on his own repentance, while Francis lived in his heart open to the enchantment of God’s creation. In contrast to how science is approaching wonder and awe, which is, from a perspective of well-being and integration, a religious approach considers the direct connection to the divine. The word oblation, which is often used in the current English translation of the Roman Catholic liturgy, best describes this sacred mystery. 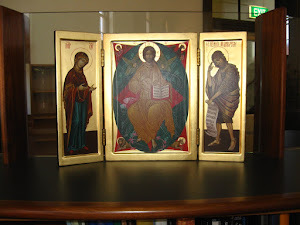 An oblation is a gift received and returned to the giver – for example, a parent gives their child a ball and then says, ‘Throw it to me!’ As the child and parent master the game of pitch and toss, they experience connection and communion. In that state of mystery and with its liturgical associations, oblation is laden with awe. In this definition, only a person who has been initiated into the mystery by encounter with another human person can experience awe. This person learns to see glory all around them, especially in places where others see only awfulness. The Scottish Philosopher John Macmurray might describe awe as the negative part of praise. He uses the word negative not as something bad but as something, which looks for completeness in the positive (i). Awe wants to be expressed, shared and celebrated, often with gestures, dance, music and song. The human species is now termed - Homo Sapiens Sapiens – the ones who are aware, and know they are aware. But as psychologists such as Siegel remind us this deep level of awareness brings with it the capacity to be open to both mystery and to fear. Rudolf Otto's ‘The Idea of the Holy’ (1917) describes the experience of awe as ‘mysterium tremendum et fascinans.’ His formula points to three characteristics of mystical experience. First, an approach by mysterium, something radically Other than myself. I do not know this mystery; but it knows me. This mystery is tremendum, which is not translated as tremendous or large, but terrifying, as in tremble and tremor. The mystic fears annihilation at the approach of the Holy. They may use the description ‘I am dust and ashes’; or ‘I am a worm, not even human’ in (Psalm 22:6) the divine presence. However, the mystery is also fascinans, that is delightful, beautiful, deeply, purely good, and utterly desirable. Otto posited this encounter with the Holy as the original religious experience. At its heart, Luther’s reformation was a theological movement – which sought to answer the question: What must I do to be saved? Through his German family, Luther was taught to revere the church and the priests, and to be fearful of devil and witches. Luther was profoundly influenced by an experience when he was 22 and was caught outdoors in a terrible thunderstorm, fearing for his life. In a state of panic, he made a vow to become a monk if his life was spared. True to his word he entered the Augustinian monastery in the same year of 1505. Therefore, from the beginning it could be argued that Luther’s conversion was made from a place of fear that resulted in his wanting to have control over the outcomes in his life. This control was expressed in penance, as it has been noted that Luther found comfort in facing his personal fears through repentance. Indeed, it is said that his fellow monks held him up as a model of sanctity and envied his self-denial. Luther himself noted in his well-known quote, ‘If ever a monk got to heaven by ‘monkery’, I would have gotten there’ suggesting some level of obsessiveness. However, in spite of his austere lifestyle and many religious works he found no peace with God, perhaps because repentance was not optional for Luther. Fixated with the vow he made during a thunderstorm (a vow which any parish priest could privately absolve) he lacked the freedom to move beyond penance to joyous freedom. Luther found little relief in the graphic art of his time with its macabre scenes of dancing skeletons and disembowelled bodies. Fighting his own scrupulosity, he railed against the Church's system of indulgences that played on people’s fears. These indulgences provided a way to negotiate purgatorial punishment not through repentance and faith in Christ, but through acquisition and accumulation. Grieving relatives lived in fear of the punishment that could befall their families and friends, particularly when they could not afford to "ease their suffering" through the purchase of such indulgences. Luther was not the first to see how such a system could attract graft, distortion and the exploitation of grieving people; but his timely "reform" struck a chord in his restless German community. 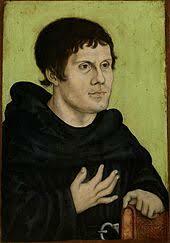 At the very least Martin Luther's scruples did model his faith in a gracious God, which raises the issue of trust. St Francis of Assisi lived three centuries earlier, before the Black Death and the famines of the fourteenth century. Francis's pursuit of poverty -- he called her his "Lady Poverty" -- invited ecstasy in God's presence rather than fear. Like Luther, Francis had a life-changing event: encountering a leper one day and despite the revulsion he has always felt toward the disease, he was so moved as to kiss the leper and give him a sack of coins. Toward the end of his life, he recalled how the incident changed his life. What had been repulsive became desirable; what had been desirable -- money, comfort, popularity -- became repugnant. Living in trust, he was open to and looked out on the wonder of the world (iii). …not only his poem was perfect poetry, but his whole life was perfect poetry in action… Wandering and poverty were poetry for him. (Irwin, 2002:193). Francis’ direct connection to all living creatures and elements like the stars and fire, begins with his admiration and awe for the created universe. His last song, The Canticle of the Sun, celebrates the four elements as Mother Earth, Sister Wind, Sister Water and Brother Fire. A Franciscan interdependence necessitates being open to new learning in all interactions and a readiness to trust. … in the end we have to model a different kind of power, a spiritual power, a power that comes from making oneself vulnerable to the wisdom and power of God, by being more transparent. As previously mentioned, both Luther and Francis reacted differently to fear: one with inward-facing control; the other, with trust and openness to the wonder of creation. In archetypal terms, Luther and Francis offer two different approaches to dealing with fear –which still have implications for how we live in this world of uncertainty. One of the criticisms of religious approaches that rely on biblical understandings of nature, is that they do not take into account learning derived from scientific inquiry. Indeed Francis distrusted and discouraged formal study. 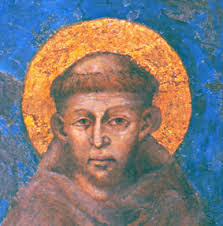 However, we also know that St Francis inspired scholars such as William of Ockham (c. 1287–1347) and the saints Bonaventure, Thomas Aquinas and John Duns Scotus. They were among the most prominent medieval figures in the history of philosophy and science. William of Ockham is best known today for his espousal of metaphysical nominalism; indeed, the methodological principle known as “Ockham's Razor” is named after him. Ockham held important, often influential views not only in metaphysics but also in all other major areas of medieval philosophy—logic, physics or natural philosophy, theory of knowledge, ethics, and political philosophy—as well as in theology. In addition the Oxford Franciscan school was the name given to a group of scholastic philosophers who, in the context of the Renaissance of the 12th century, gave special contribution to the development of science and scientific methodology during the High Middle Ages. This group includes such names as Robert Grosseteste, Roger Bacon, William of Ockham as well as Thomas of York. From an evolutionary view: why did awe become part of our species’ emotional repertoire? A preliminary answer suggests that awe binds us to social collectives and enables us to act in more collaborative ways. They, in turn, enable the formation of strong groups and improve our odds for survival. From a proximal perspective: What does awe do for you in the present moment? Here the science states that: momentary experiences of awe stimulate wonder and curiosity. Eco-thinkers such as Thomas Berry, Max Oelschlaeger and Elizabeth Johnson have argued for a blend of spiritual and scientific approaches, stating that a strict scientific interpretation has taken too great a precedence in recent times. They acknowledge that addressing our global challenges will require our rapport with each other and our world earth at a deeper level of complexity including, as Oelschlaeger (1994:224) has argued, as ‘an enchanted world’. Cutting-edge research on awe underway at UC Berkeley, suggests that it has profound psychological, social, and physical health benefits—perhaps even stronger, in some cases, than those of other positive emotions. Their research outcomes suggest that awe has numerous psychological benefits, including increased life satisfaction, and a greater desire to help others. It may also have health benefits: a recent study found that people who experienced awe more frequently in their daily lives showed lower levels of inflammation associated with heart disease risk. Awe may help people cope better with stress by promoting curiosity and exploration, rather than withdrawal and isolation. If awe is the foundation for wisdom, for art, for science, and for religion, then it is important we make space for awe by nurturing it. Indeed the question posed by the Franciscan friar Leonardo Boff, “What kind of lyricism do we need in order to recover the mystery of the world – remains very relevant because there are still many mysteries for us to consider. …it is not a deficit of wonder from which we suffer, but a deficit of experience of the objects, which are the appropriate recipients of our sense of wonder, and of the ethical dimension to our responses. In pointing to the differences in the approaches of Luther and Francis to fear, we go back to the point made earlier in this paper, that the capacity to experience wonder is a developmental achievement; it requires a sufficient degree of safety and security for the natural fear of being de-centered. not to push away the creative response in re-centreing ourselves. This is why self-awareness and spiritual intelligence are vital components in developing discernment. In the face of uncertainty, any personal or structural reformation requires confident, compassionate, reflective self-awareness. · How can I repent? · How do I open myself to the wonder of the world? Wonder and awe have been described as states in which one grasps, at least for a moment, that the world is not what it seems; that it is far more mysterious than our senses have led us to believe. When one holds such awareness beyond the fleeting moment, there is the possibility for the world, and our experience of it, to become enchanted. But if wonder and awe emanate from our survival emotions and ‘doing’ states as Martin Luther’s did then we are fearful of them and they cause us to want more control, and a perfection of ‘monkery’ – today's equivalent of "faster quicker, stronger, harder." The defining characteristic of "spiritual wonder" is a connection to someone or something greater than oneself, which also includes an emotional experience of spiritual awe and reverence. This anniversary of the Protestant Reformation provides a timely reminder that fear as a guiding emotion is not useful. Instead, it offers the opportunity to rediscover the rich Christian artistic heritage that was often dismissed and destroyed in Reformation polemics (Dryness 2017:13). Trust, openness and stillness will bring us closer to our guiding spirit, which is even more important in today’s uncertain world. It is now time for radical openness to new discoveries, insights and a reconnection to wonder and awe. (i)"The negative however must always be grounded in the positive; doubt [the negative] is only possible through belief [a positive]." Macmurray, John; The Self as Agent, Humanity Books, an imprint of Prometheus Books, Amherst, NY; copyright 1957; page 76 Some critics have complained of Macmurray's use of negative and positive, and it takes some study to understand. In his thought, the negative precedes the positive; as, for instance, thought precedes action; doubt precedes faith; and awe precedes praise. The negative is not complete (real or actual) without the positive, as one is not held responsible for undisclosed thoughts but is held responsible for words and deeds. (ii) The Franciscan John Duns Scotus would describe awe as a form of intuition. He recognized two forms of knowing, the sensible and the intuitive. Sensible knowing draws from the senses; it measures, estimates, calculates and tabulates knowledge. Intuitive knowledge is more direct. I know another person by intuition if I have met that person, even if I have little sensible knowledge of them. Contrariwise, I could not say I know them if I have a lot of data, but have never ‘met’ them. (iii) The act of intuition may be hampered in our present state due to original sin, but it belongs to the human mind by nature. Intuition is an immediate act, accompanied by certainty of the existence of the object. Scotus explains, "I may speak briefly, I call knowledge of the quiddity (essence) itself abstractive... and that of a thing according to its actual existence or a thing present in its existence I call intuitive intellection." Intuition is a direct vision (visio) of an actually existing object as existing." Ratzinger, Joseph Cardinal (1968) Introduction to Christianity. London: Burns & Oats . ISBN 978-0-223-97705-1.